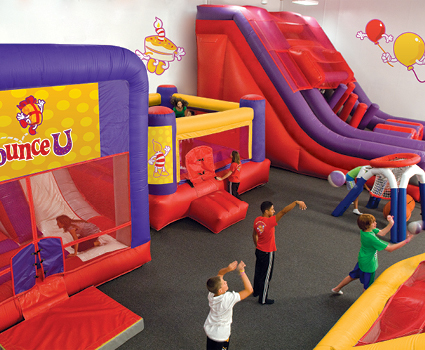 BounceU of Gilbert is owned by a local couple and their 5 & 2 year old daughters. Their passion for childen, entertainment, and the community is what makes their store so successful. So sucessful in fact, they were named Franchisees of the Year in 2013 and in 2014 "Parents" Magazine named them as one of the "Top 10 Birthday Party Destinations" in the USA! 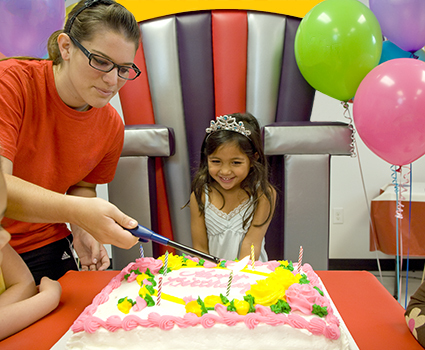 BounceU of Gilbert has won multiple awards including Best Birthday Party Place, Best Indoor Party & Play, Best Use of Social Media, and many more from many local publications. BounceU of Gilbert takes pride in donating tens of thousands of dollars each year to local organizations & hospitals, national foundations such as Make-a-Wish, and to hundreds of churches, schools and non-profits in the Valley.